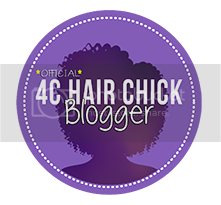 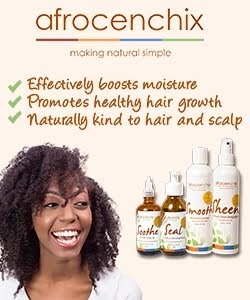 For a while now I've been wanting a way to share all the amazing pictures and images of natural hair that I come across online, and it would seem that the latest craze of blogging on Tumblr.com is the perfect way to do so. Basically it's the another way of sharing online, think twitter, meshed with facebook and blogspot/wordpress. 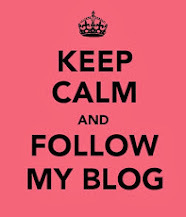 Its what's known as micro-blogging, where people can quickly share things of interest, similar to twitter but without a word limit, and like facebook you can "like" posts by other people, and "re-blog" them easily (like re-tweeting or fb sharing). 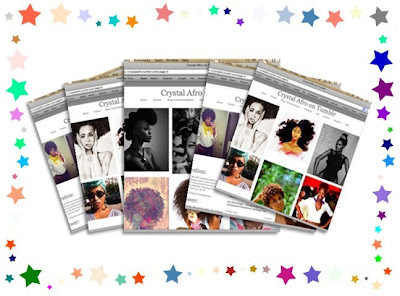 For me the joy comes from being able to display so many amazing images. 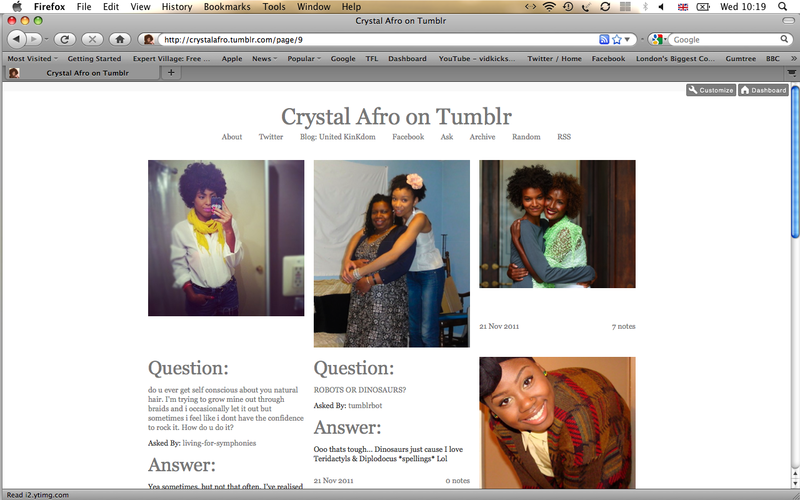 It's been 2 days and already I've racked up total of 100 posts! 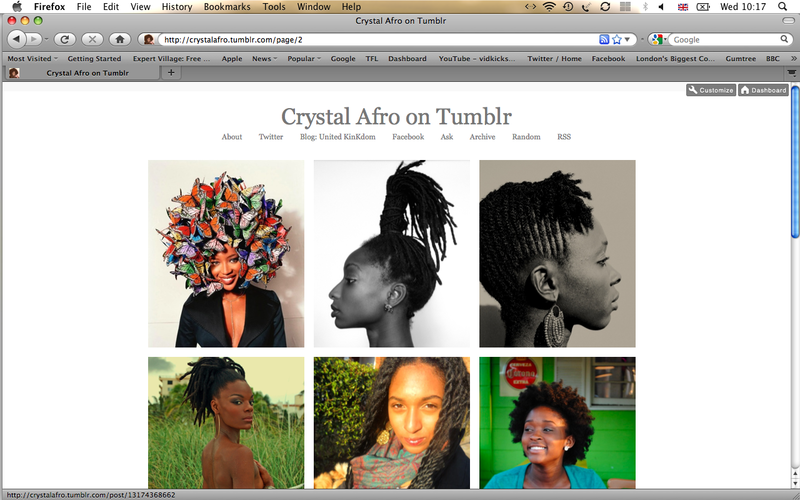 Although Tumblr can be used to blog articles just as I do here, I won't be using it for that. 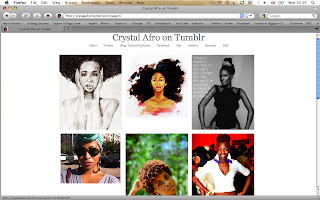 Rest assured that all my written articles past, present and future, will continue to be posted here on United KinKdom, while Crystal Afro Tumblr will be strictly pics, pics and more pics. Check it out and if you've got a #naturalhair tumblr let me know, I'd love to follow. 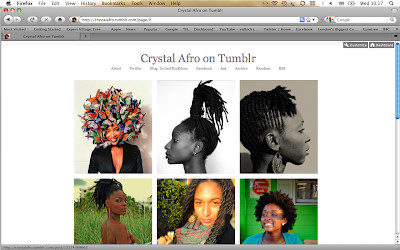 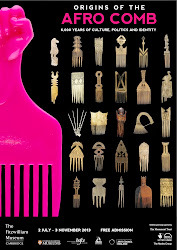 Have you got a #NaturalHair Tumblr, and what are some of your favourites?